Building Bridges is an annual conference on diversity. Student-led and student-initiated, it promotes proactive, social change through awareness and it fosters mutual respect and understanding of diversity. The conference has been held annually in March since 1995. New themes are developed and presented each year.Christmas in Christ ChapelChristmas in Christ Chapel is an annual celebration of the Christmas season since 1973. Alumni, friends of the College, students, staff, and faculty gather for the traditions, with approximately 1,200 people attending each of five services. Commencement is a time for families and friends to celebrate the accomplishments of graduating Gustavus students. Events are held throughout the weekend to recognize and celebrate the new graduates as they depart Gustavus in pursuit of new endeavors. The Festival of St. Lucia marks the beginning of the Christmas season in Swedish custom. The festival is celebrated annually at Gustavus with a chapel service featuring a court of six sophomore women chosen for courageous leadership, service to others, strength of character, and compassion and therefore are a light to others. The MAYDAY! Peace Conference is an opportunity for the greater Gustavus community to join in conversation regarding issues of peace and social justice throughout the world. 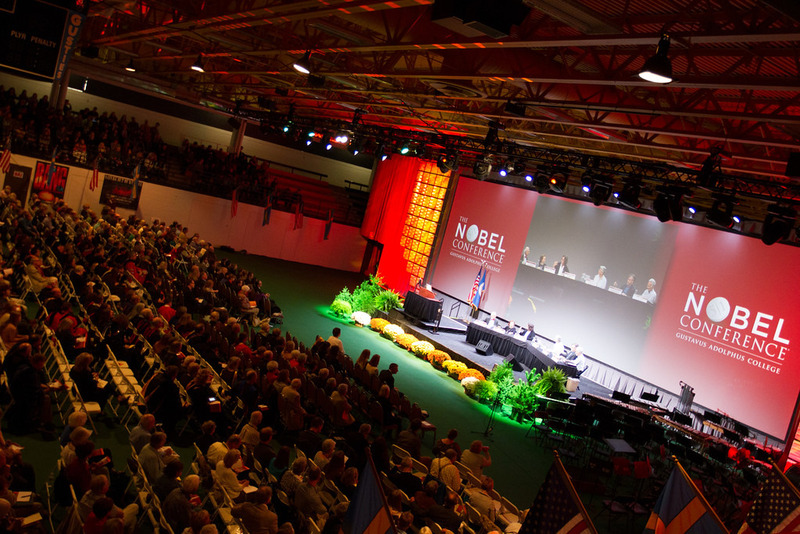 Each spring, classes are shortened to allow all students to attend the conference and listen to a special keynote speaker.The Nobel ConferenceThe Nobel Conference brings world-class researchers and scientists to the Gustavus campus for two days each fall. The best in their fields, the speakers present and discuss topics ranging from economics to medicine; from evolution to Einstein. The Rydell Professorship at Gustavus Adolphus College is a scholar-in-residence program designed to bring Nobel laureates and similarly distinguished scholars to the campus as catalysts to enhance learning and teaching. The Rydell Professorship was established in 1993 by Drs. Robert E. and Susan T. Rydell to give students the opportunity to learn from and interact with leading scholars.